At AutoBody-review.com we are in the business of helping you find body shops to put your crash damaged cars back together properly. We also know a thing or two about car safety and collision avoidance technology. If you are thinking of replacing your car after it returns from a body shop, or are replacing a totaled car, you can also turn to our blogs for advice on what to buy next especially when researching safe cars. The American car buying public demands a lot of things for the carmakers. Vehicle safety is right up there on the list with creature comforts, swoopy lines, and powerful and reliable engines. Each year, cars become more and more safe as technology, new steels and exotic metals, and collision avoidance systems are brought to market. Drivers are also increasingly distracted year after year with all these technological advances. When shopping for a new car, you might have run into a version of the “Auto Brake” technology. Auto brake wears many names which all mean the same thing; auto matic braking. 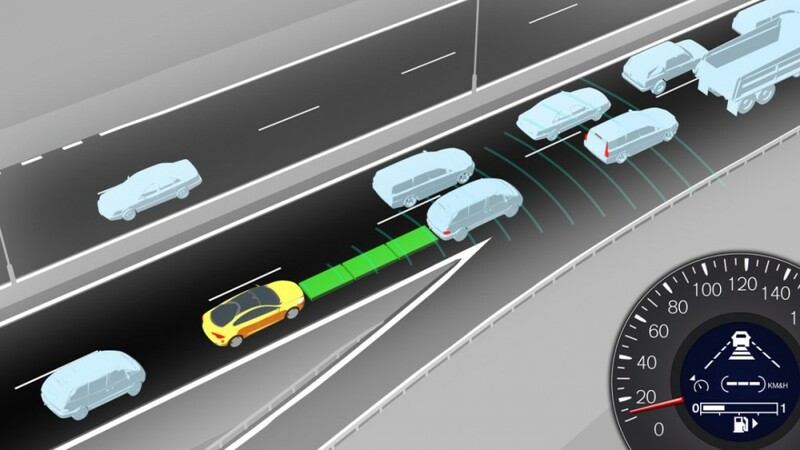 BMW calls this technology “City brake” Audi calls it Pre-sense”, Mercedes calls it Pre-Safe Brake, Dodge calls is Crash mitigation, and Infiniti calls it Intelligent brake assist. There are other names that I have left off this list. What is Auto Brake Technology? 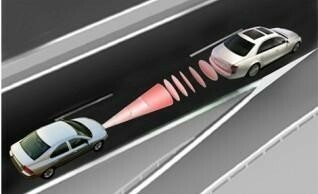 You might be familiar with “forward collision warning” systems that have been around for a few years. These systems use forward facing radar systems to sense that your vehicle is approaching something in its path that is moving slower than your vehicle and a crash could happen. Some cars sound an alarm, others have indicator lights but all of these systems are designed to merely alert you to potential danger. The problem with these systems is that people get used to hearing them and start to tune out these warnings and instead begin to find them annoying distractions. The more advanced systems will even “pre-charge” the brakes so that when you slam on the pedal in a panic stop, the brakes are ready for you to do so. Auto Brake systems take the forward collision warning systems a step further and will actually apply braking to your vehicle with you even touching the brake pedal. One of the biggest and least talked about advantages to you, and your insurance rates is that even if Auto Brake systems cant keep you from hitting the car in front of you, they will significantly reduce the speed. This will further reduce the number and severity of injuries and can often reduce the property damage amounts. Auto brake could be the difference between a repairable car and a totaled car in an accident. 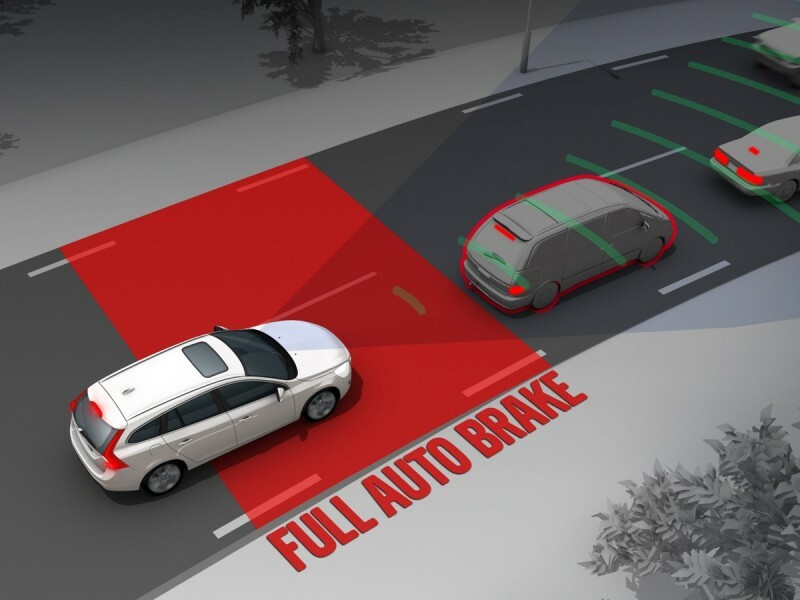 Auto Brake is a bit more sophisticated in its monitoring technology as well by utilizing, laser, radar cameras or a combination to determine if a crash is imminent. Any time a new system is introduced into cars, you will find it first on the high priced luxury cars and then within eight years; it becomes almost standard in all vehicles. Air bags, antilock brakes, on-star, back up cameras are all examples of this. Right now you will find Auto Brake technology on luxury cars or as part of a high-priced options package in mid market models. Buyers can find auto brake on some Buick, Chevrolet, Dodge and Toyota models. Auto Brake is only available on European market Ford vehicles at this time. The Insurance Institute for Highway Safety is an independent organization funded annually by the car Insurance companies and does all the crash testing and ratings for cars. Their testing and results are more thorough and rigorous than the NHSA (National Highway Transportation Safety Administration) who is government funded. You can check IIHS.com (http://www.iihs.org/iihs/ratings) for more information on their Auto Brake ratings but I’m going to give you the synopsis here. The IIHS splits their Auto Brake ratings into three categories: Superior, Advanced and Basic. So if you are in the market for a new safe car, or just want to replace your newly repaired car, take a good look at Auto brake as a feature for your next car. The job was beautifully done. The car was also washed and vacuumed I was very satisfied with what was done to my vehicle.